A few weeks ago I was scrolling through Facebook when this image popped up. I immediately saved it and made plans to start this project! 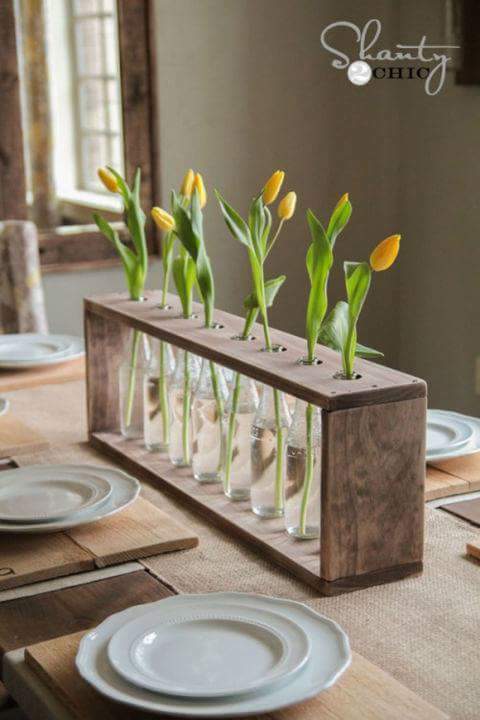 Perfect timing for those needing an idea for Mother's Day. Shanty 2 Chic has a step-by-step tutorial over on their page. So head there to check out the $10 Glass Bottle & Wooden Vase when you're ready to start making yours. In the meantime, check out this fun little video I created. 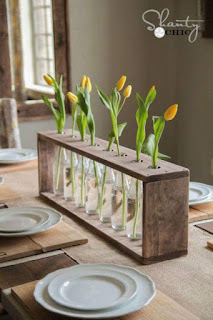 I really like this, such a cute and modern way to show off flowers! Really like this way. Could i use testing tube for this ? 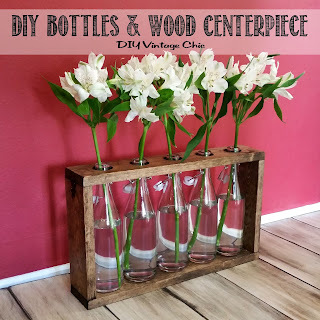 Thanks for sharing this centerpiece DIY idea. SANGO86.COM's interior construction service has many different services. Including: construction of laminate flooring, plastic flooring, neo-classical construction, gypsum ceiling construction and others.